First SWEM workshop results to action plans needed for watershed management framework planning in Bukidnon | PRIMEX – Pacific Rim Innovation and Management Exponents, Inc. The first of four workshops on Sustainable Watershed Ecosystem Management (SWEM-1) was held from 11-13 April 2012 at Loiza’s Pavillion in Casisang, Malaybalay, Bukidnon. Thirty-five participants from six municipalities including Talakag, Manolo Fortich, Baungon, Kalilangan, and Pangantucan learned about the roles and functions in the SWEM approach as well as the skills needed to develop the Watershed Management Framework Plans. The workshop was part of the capacity building project called the Decentralized Framework for Sustainable Natural Resources and Rural Infrastructure Management. It aims to build the knowledge and skills of local government units, the Department of Environment and Natural Resources (DENR) in watershed management, rural infrastructure management, and livelihood. The project also emphasizes the active participation of women and the IP sector. It is funded by the Asian Development Bank and the Japan Fund for Poverty Reduction. He also discussed the 10 modules on SWEM-1 together with Dr. Teodoro Villanueva and Dr. Diomedes Racelis, both professors from the College of Forestry and Natural Resources in UP Los Baños. They guided the participants on how to prepare their action plans which will determine how the watershed management framework plan will be produced for Maridugao, Agusan-Cugman, and Cagayan watersheds. Meanwhile, Dr. Rosa Perez, Climate Change Specialist, discussed how to climate proof the watershed management framework plans. Climate proofing means reducing the exposure to weather and climate-sensitive activities to climate-related hazards. Dr. Bonita explained that the SWEM approach considers watersheds from the ridge to the reef. In developing the planning framework, there will be three levels and the watershed level (topmost level) will be the framework plan that will “dictate” the lower level plans. The framework plan is different from a management plan because it does not quickly become obsolete. He said it was important for the plans to be updated because these were formulated ten years ago. Also, there have been changes on the planning framework in the sense that planning has been elevated to the watershed level instead of city or town level. Dr. Bonita stressed the importance of piloting an enhanced watershed management framework following the SWEM approach. 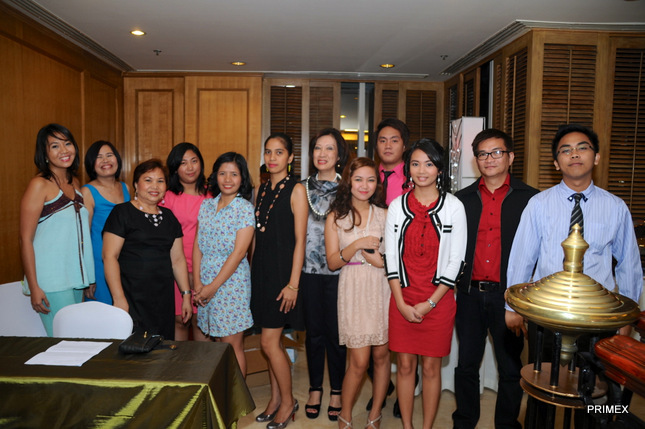 During this process, not all participants will be members of the TWG watershed level. Some of them will help facilitate the lower level plans. At the end of the workshop, the six municipalities committed in their action plans that they will inform their mayors, request the mayors to organize a TWG (for those without a TWG), and revisit their old watershed management plans to consolidate data. The group agreed that the due date for the framework plan will be in mid-July 2012. SWEM-1 participants were either members of the City/Municipality Watershed Management Technical Working Groups (TWG) or new TWG members. 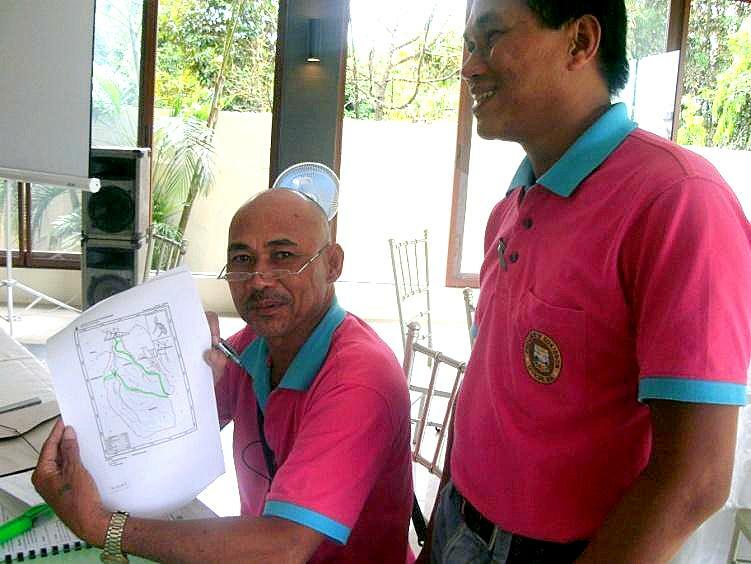 The former helped formulate the City/Municipality Watershed Management Plan while the latter were mostly foresters assigned by the Provincial Environment Research Office to the cities/ municipalities as the counterpart of the Department of Environment and Natural Resources (DENR) for the SWEM planning processes. The offices which attended included the Department of Environment and Natural Resources, Department of Interior and Local Government, and the Bukidnon Environment and Natural Resource Office. The rest were from local government units including the, Municipal Agricultural Office, Municipal Environment and Natural Resources Office, the Municipal Planning and Development Council, and the Sangguniang Bayan of Baungon and Talakag. Three representatives from indigenous peoples and women’s sector also joined the workshop. In succeeding workshops, participants will learn how to organize the community and how to conduct resources assessment in the resource management unit (SWEM-2); carry out forest land use planning and management prescriptions by compartment (SWEM-3); and plan their forest management units and how to integrate sub-unit management plans into the watershed management unit management plan (SWEM-4). By October 2013, the project is expected to have developed seven watershed management framework plans and 22 watershed management plans at the LGU level. These are envisioned to help Bukidnon better manage its watersheds in terms of sustainable delivery of ecosystems goods and services and poverty reduction through sustainable livelihoods and developed enterprises.